Update: Amazon has just added the Basic Kindle to the Family of devices. They never disclosed on why it it was unavailable for a few days or if a new model is coming out soon. is it for Prime or Non Prime User? Well the Kindle Basic is just known as “the kindle” all the other kindle models have names, like Kindle Paperwhite, Kindle Voyage, Kindle Oasis. Amazon discontinued the Kindle today, you can no longer buy it. You can still buy it. The product page is still there. 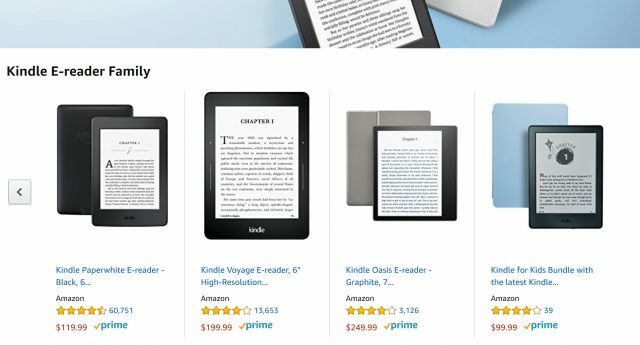 https://www.amazon.com/dp/B00ZV9PXP2/ref=nav_shopall_1_k_ods_eink_bn But, you are correct, they are no longer advertising it. The entry level kindle is an awful device. screen is too dark even in the daylight. paperwhite should be entry level, Voyage mid range. Hope they replace it, there needs to be a competent entry-level ereader. For most people a tablet just for reading is a hard pass at over $100. So you’re saying the next basic Kindle will be 300 ppi? Well, that is exactly why Michael choose this headline. This is also known as clickbaiting. Oh, my, that headline is horribly misleading. Come on guys. My prediction is that any new Kindles for 2018 will be introduced after Prime day July 16. They’ll use the Prime day sale to discount any of the soon to be discontinued models and then after a couple of weeks we’ll see the new Paperwhite 4 or whatever new models are planned. I do not think I will be visiting Good E-reader again. You are dishonest. This is disingenuous and the author or editor who wrote this headline should be ashamed. Terrible, obnoxious clickbait.